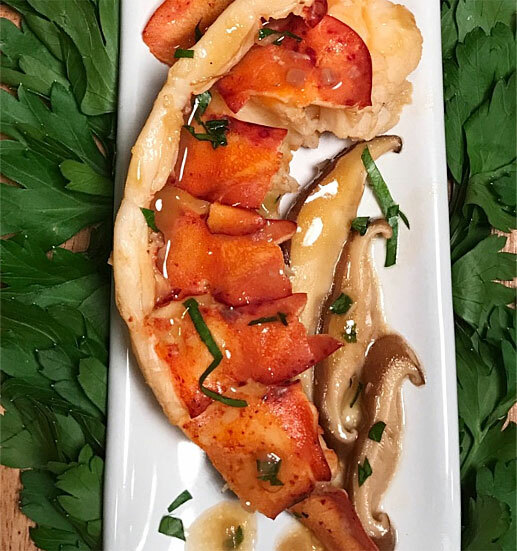 Sweet North Atlantic Lobster Tail meat is enveloped by the deep, rich flavors of earthy shiitake mushrooms, complimenting each others tender yet meaty texture in every bite. The succulent sauce is made from both of their natural renderings, making this a truly magnificent meal! Simply indulge and celebrate these two treasures of the land and sea. 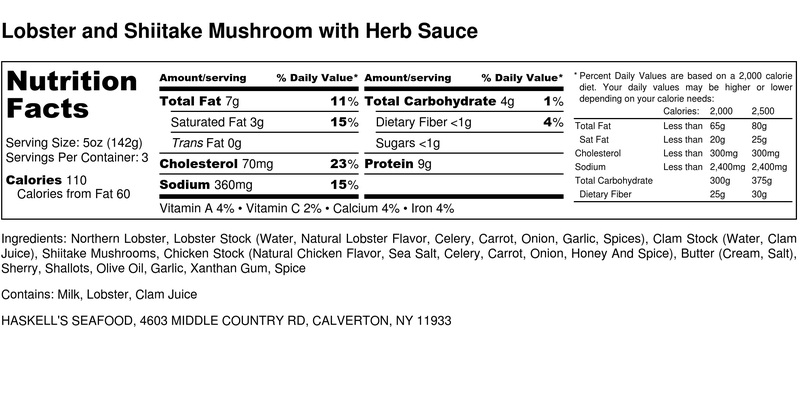 This incredible union of lobster and mushrooms will be sure to impress on that special occasion and also offers the “surf” component to any large or elaborate meal. We have carefully de-shelled, split, and cleaned these lobster tails, so there is no messy work to do in the kitchen or at the table. Enjoy!